Toronto Mayor Rob Ford has been constantly on the wrong side of bad press lately. Will Ferrell stopped by Conan on TBS recently to sing a parody of Loverboy’s Working for the Weekend in support of Rob Ford. 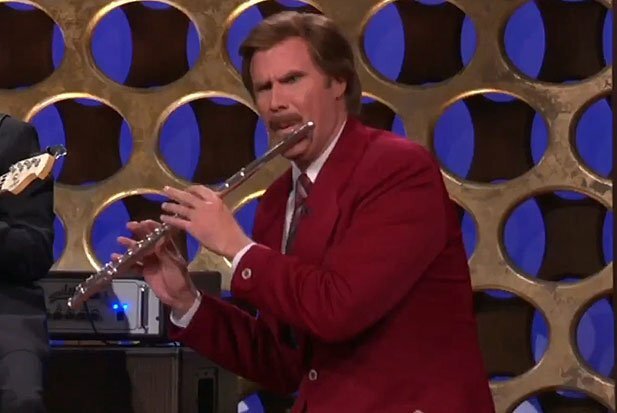 He even whips out his flute to lay down some sick Ron Burgundy-brand jazz. Anchorman 2 will be released in theaters on December 20th of this year.